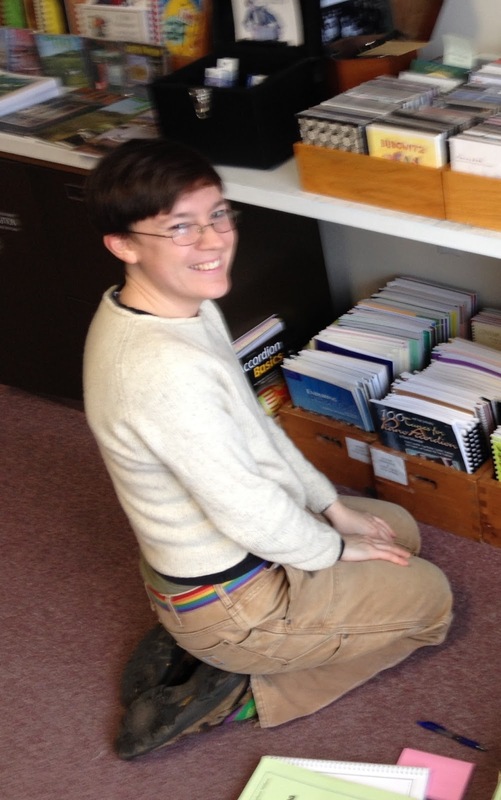 About once a month I can count on an e-mail coming over my transom from Margaret, at the Button Box, letting me know of new joys that are sitting on their shelves. It’s always interesting, but only occasionally prompts biblically suspect levels of covetousness. 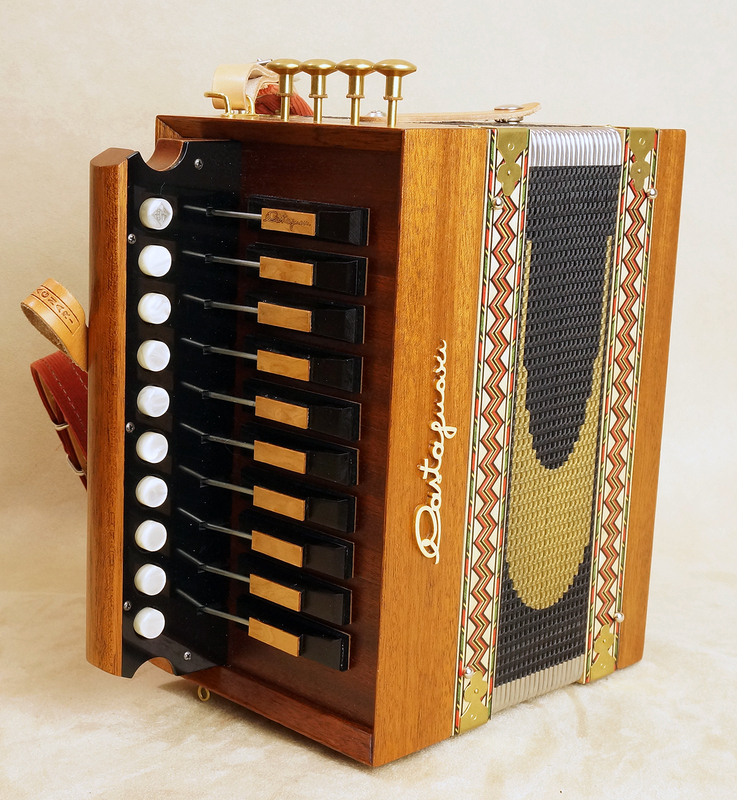 The latest note (June 30, 2015) did provoke such covetousness, which is very unusual since I only last month took delivery of a new (to me) Hohner Erica A/D. There were many interesting boxes, of course, but the ones that tweeked my interest were these. First, there’s the Dino Baffetti ART organetto, one row plus (8+3), in, get this, Ab. That’s right A – bloody – flat! Aside from its value in obscurity (four flats? really? ), I’ve been curious about these organettos since I got my Baffetti three row and loved the heck out of it. Baffetti makes quality boxes. Price on this one is $500 (used). Comes with a hard case. Similar, is the Romeo Erminio organetto, one row plus (9+3) in Eb. (I’ve not heard of this maker before.) As opposed to the Baffetti, which has two reeds per note (LM), this one has three reeds (LMM), with a stop for the low reed. Wow. All this for only $400 (used). A price so low it makes you wonder? Also, if you look at the little windows on the top of the box, you’ll see pictures of two lovely women. There are all kinds of incentives. 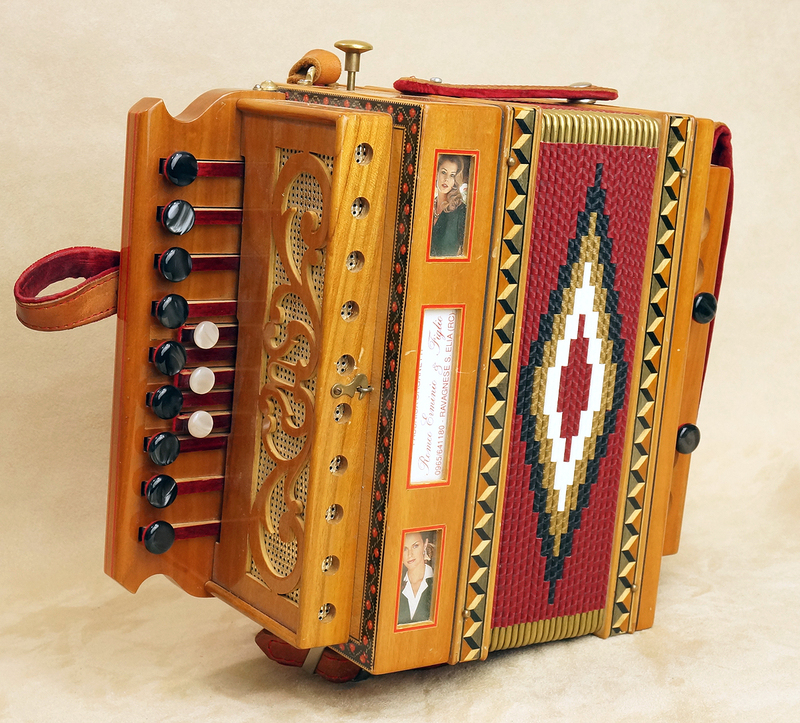 On the other end of the posh scale is the Castagnari Melodeon. A box I’ve been craving for years now. It’s a one row in D, with four reeds per note and four stops (classic Cajun structure, though the tuning doesn’t typically have the weird third that Cajun boxes have). 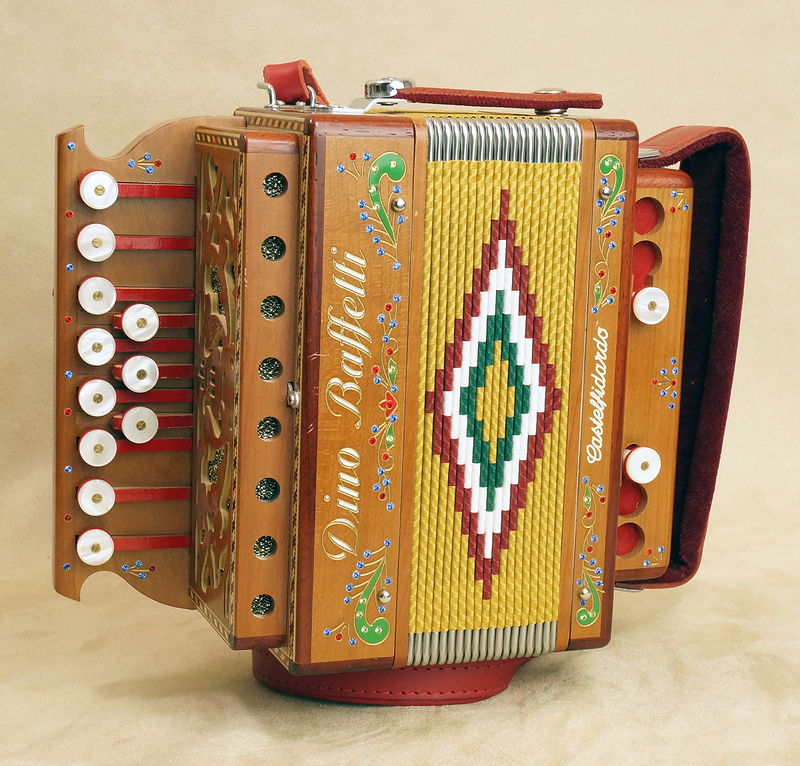 I’ll tell you, not to fall sway to a brand name, but there is nothing like playing a Castagnari. It’s really true. Boy, would I love to get one of these. Price $2,300 (used). These boxes are interesting to me maybe because I’ve been dancing around the idea of a one row for a long time (see Rees Wesson’s boxes, for example). But it’s really all moot. I report the prices to you, but I am completely tapped this summer. In this case, I am serving the role of matchmaker. True? True. ALSO: Another interesting thing about the Button Box notice is the large number of Irish style boxes available, 12 of them. I wonder if this is a sign of the high popularity in Irish playing (the Button Box stocks these because they expect to sell them). Or if it is the sign of a decline in such popularity (if interest were high, Irish boxes would be more rare). I don’t know. Pondering.